Few countries hold the same architectural and ethnic diversity as Ecuador. A republic largely formed with people who share European and Amerindian descents, Ecuador has emerged as a multicultural country embracing hybrid architectural styles. From Quito’s Baroque churches to Guayaquil’s modern high rises, the country showcases both local and international building trends. As one of 17 “megadiverse” countries in the world, Ecuador’s natural diversity rivals its cultural complexity. From the dramatic La Costa regions to the Sierra highlands, Ecuador’s landscapes are as varied as its building fabric. 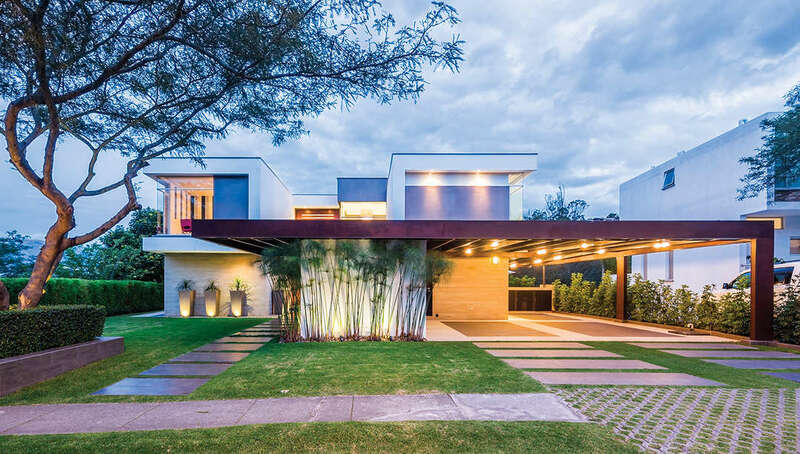 Exploring Ecuador’s rich variety, the following collection draws together private residential architecture across the country. 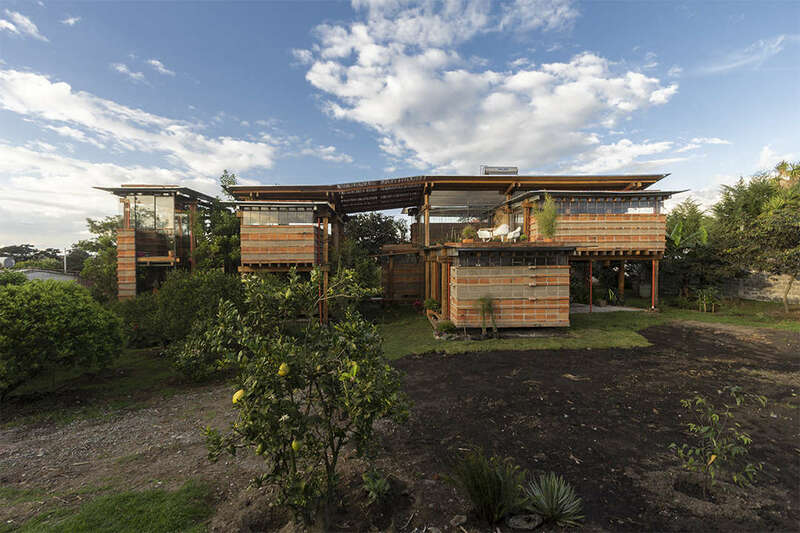 Constructed as sensitive insertions and bold forms alike, these remote homes represent an approach to building that is uniquely rooted in Ecuador’s distinct environments. As projects that rethink historic building traditions and constructions methods, they reveal a contemporary architecture that is intimately connected to place. Conceptually exploring the cabin typology, this project in Pichincha features two structures that are abstract interpretations of a home’s basic elements. Placed among the trees on site, the designs include two distinct plan morphologies formed with concrete planes and glass enclosures. 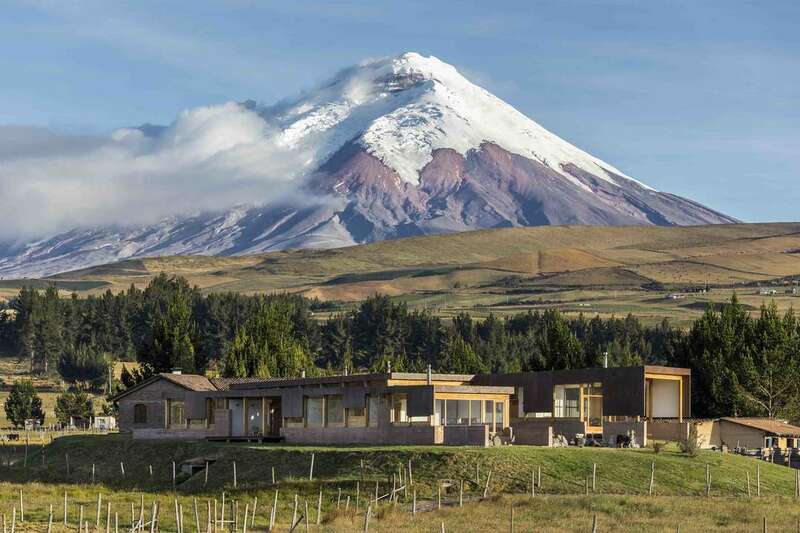 Casa Rumilahua is located on a serene site in Cotopaxi. Oriented to views while opening to its surroundings, the residence includes materials that uniquely tie the architecture to its site. 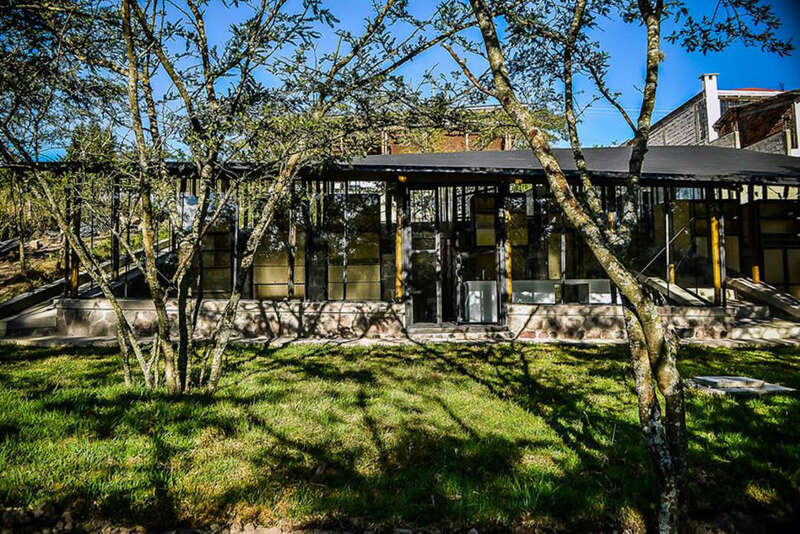 Sited in a more rural area of Quito, El Carrizal was made with unique spatial arrangements and formal organization. Taking advantage of openings and adjacencies, the house opens up to the outdoors through a treehouse-like aesthetic. Building upon the regional architecture of the Ecuadorian highlands, Los Chillos includes an open plan and continuous spaces that link a courtyard with a porch and the sloping landscape. 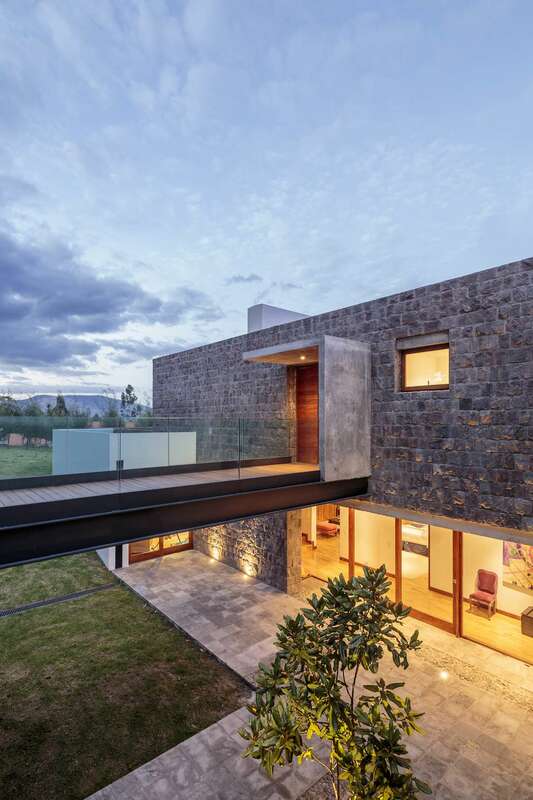 Mixing endemic and modern materials, the residence features concrete, wood, tile, local stone and glass. The House of a Thousand and One Tales was built in the small town of Montalvo along the country’s coastal region. Formed with both rustic and modern aspects, the design process explored tectonics and the habitat through a hand-crafted in-situ construction. 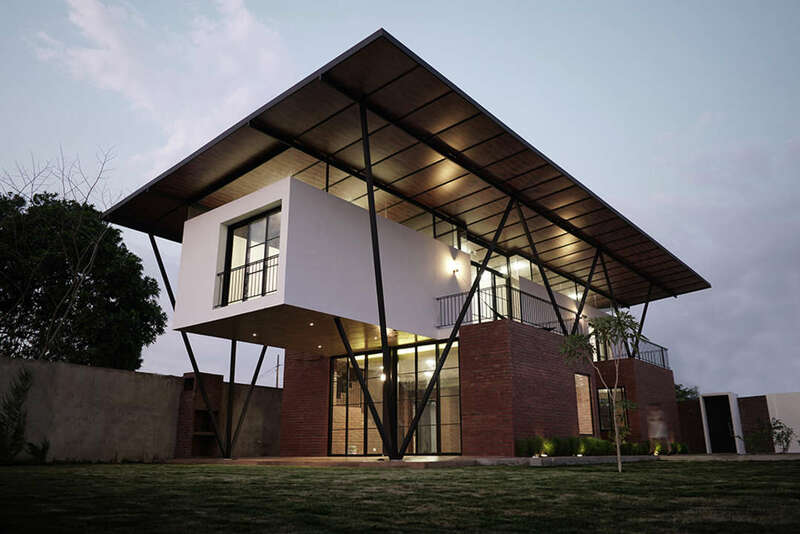 Oriented to the Machangara River, this residential design aims to provoke discovery and surprise. As a conceptual threshold, the house balances the line between private and public life while opening up to dramatic views. La 1/2 Agua was raised on concrete piles to take advantage of views while preserving the site’s topography. 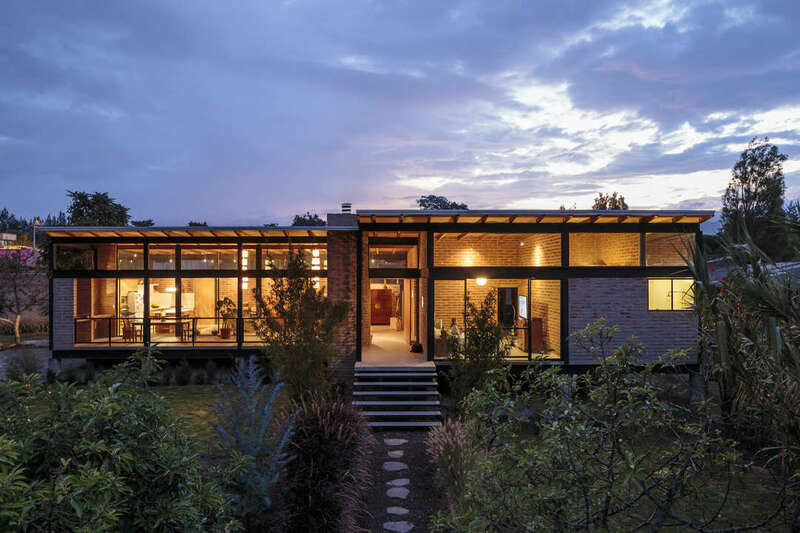 Surrounded by avocado trees, the project features large windows, a spacious porch and a generous garden outside. Inspired by the paths that weave through dense vegetation, the Culunco project is an excavated house in the middle of a sloping ground. 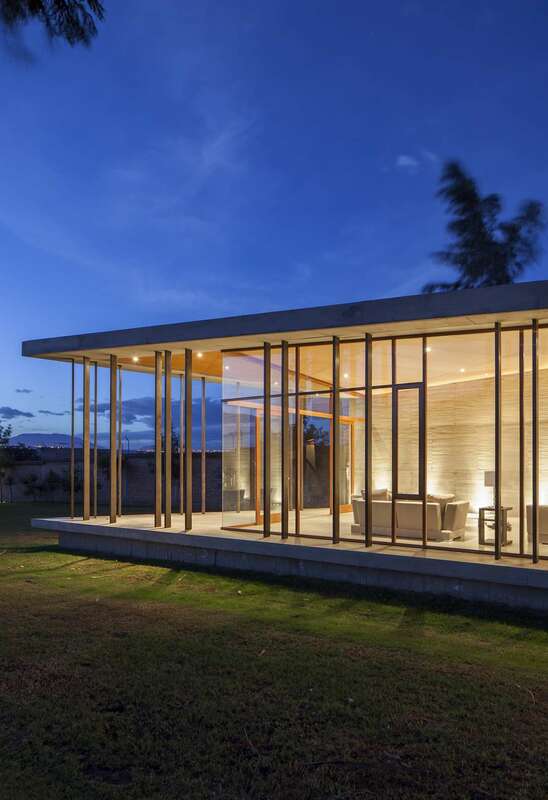 Constructed with local materials, the residence’s private spaces are enclosed by the site itself, while a glass façade surrounds social areas. 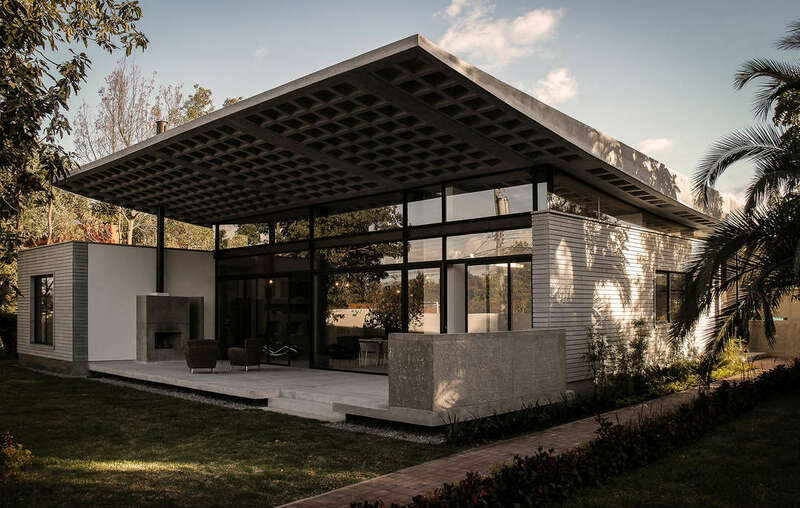 Located in Tumbaco, this residence was conceptualized as an experiment that mixes social and intimate spaces. Anchored by a courtyard, the project embraces serialism throughout while showcasing natural materials and structural forms. 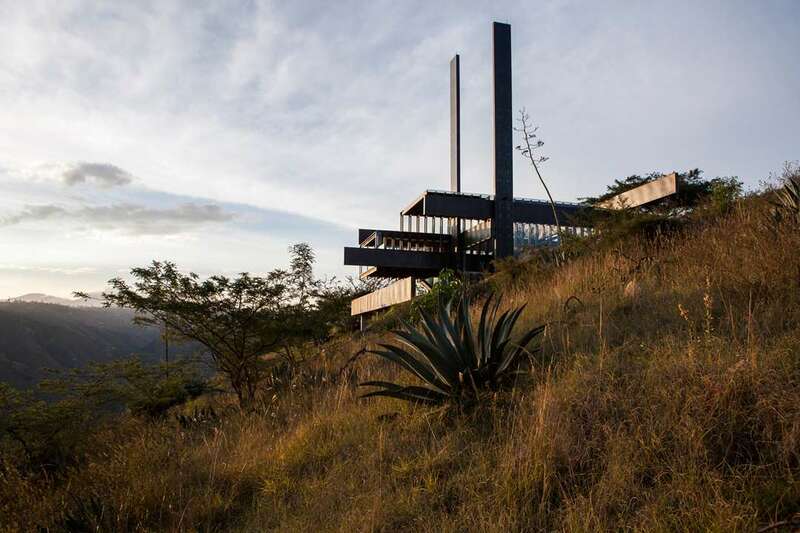 The Algarrobos House is structured by eight identical steel members that orient the project to the landscape. Formed with large cantilevers that overlook a ravine below, the house explores repetition and suspension while intensifying the user’s connection with their surroundings.